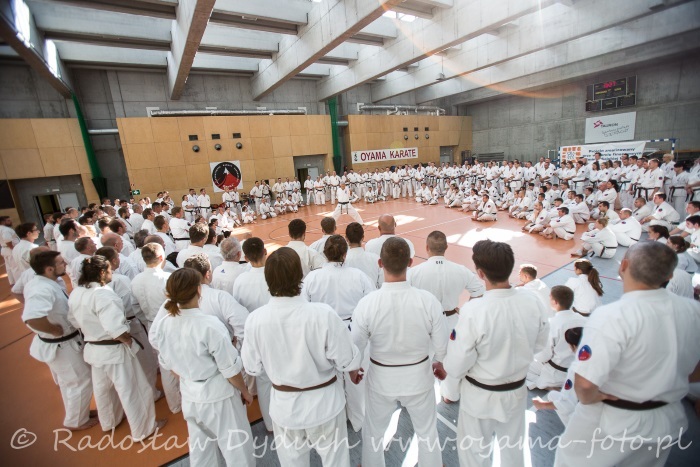 Center of Sports and Development Com-Com Zone hosted an All Polish Seminar OYAMA Karate attended by 260 participants, including: chief of clubs, schooling instructors as well as candidates for the black belt test in 2016. Seminar also attracted guests from Germany and Norway. During the official opening, Hanshi Jan Dyduch 8th dan thanked all that gathered for a numerous attendance and overviewed the schedule of the meeting. 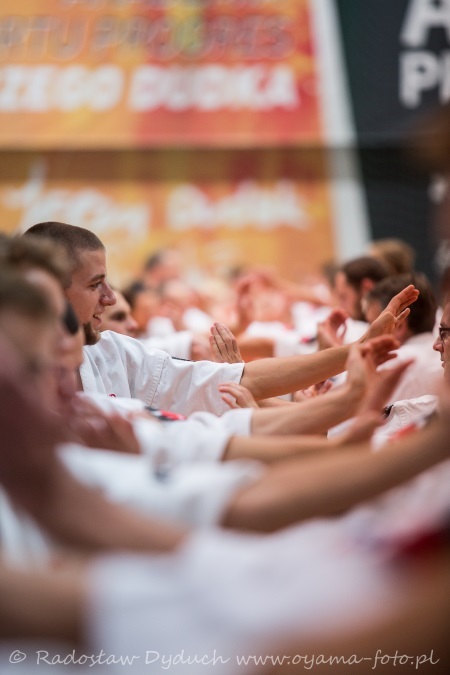 The main goal of the seminar was to prepare the candidates for the black belt test in 2016. 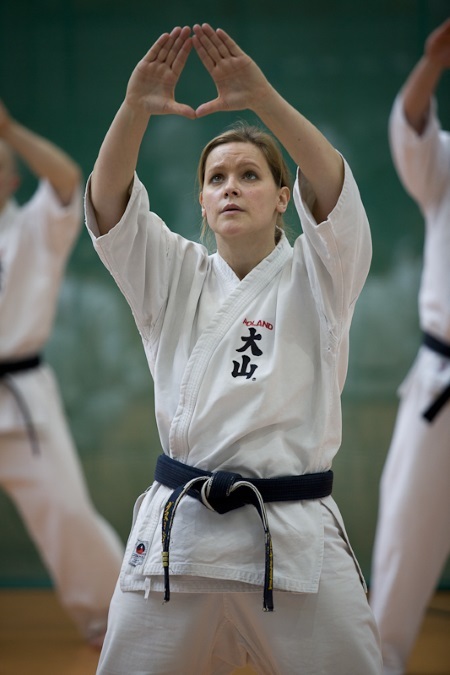 Schooling focused on the higher forms of kata and weapons kata. 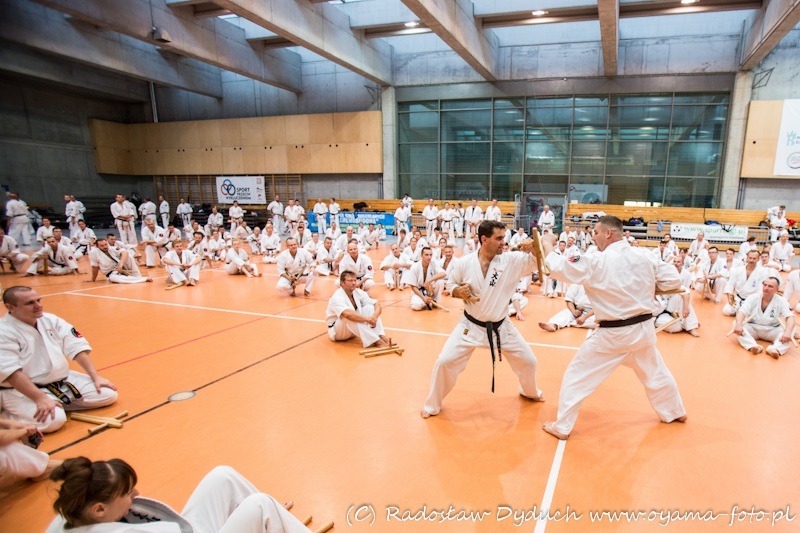 Trainings focusing on master kata: Seienhin, Kanku Dai and Sai Kihon Sono 1-3 were led by Shihan Pawel Pajdak 5th dan (Sosnowiec). Shihan Andrzej Pierzchala and Sensei Grzegorz Uzar during bunkai. 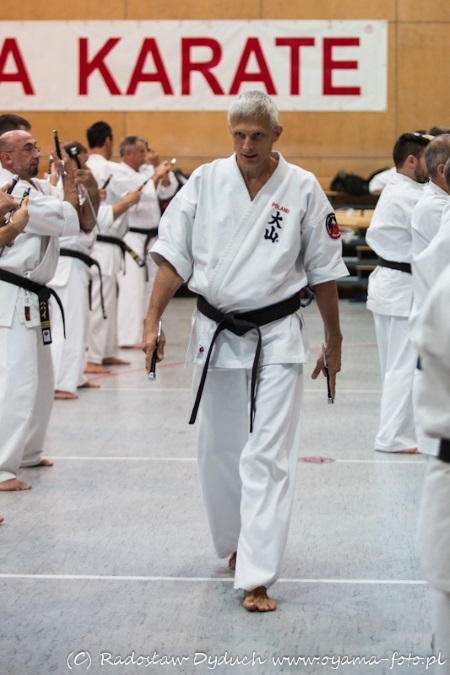 Shihan Andrzej Pierzchala 6th dan (Krakow) led the advanced forms seminar in: Kai-Ha, Shotei, Tonfa Kihon Sono 1-3 and Taizan kata. Both Shihan focused on changes Soshu Shigeru Oyama made in 2012 and key aspects of each form. Lecturers received thunderous applause for professionally prepared training. The seminar was accompanied by consultations regarding “Sports against Alienation” program conducted in Krakow. Next black belt seminars are planned in Radom (05.03.2016) and Krakow (16.04.2016). The consultations regarding the „Sports against Alienation” program were possible thanks to the financial support of the City of Krakow. Our sincere gratitude! Thank You for the numerous attendance and fruitful cooperation, OSU!